Dashboard Interactive has a Home Services client who provides excellent customer service. These individuals are skilled at what they do and are recognized as experts in their field. They are honest, hardworking people who do business with integrity. Until recently, all of their Google reviews were 5-stars. 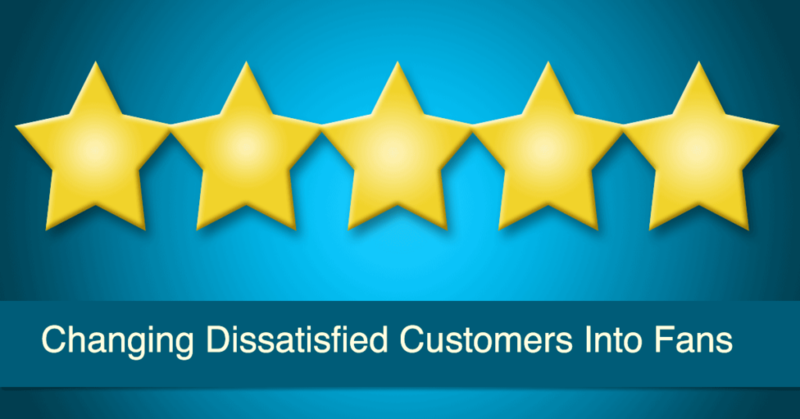 Then, the unthinkable happened: one dissatisfied customer gave them a 1-star rating. A little background: Our client was contacted by the homeowner behind the 1-star rating. They completed the project and found additional issues that they addressed before the customers warranty expired. This saved the customer over $1,400. It’s not often that you save more money than the actual cost of the project. A few months later, another company visited the same homeowner and completed additional work. Problems surfaced after the other company finished their project. The homeowner blamed our client and left a one-star review on Google even though our client was not responsible for the homeowner’s dissatisfaction. That’s when our Home Services client called us. After talking with our customer, we realized the one-star review was not warranted. The client had attempted to resolve the issue with their customer directly and was blamed for a problem that they did not cause. We spoke with the employee who actually did the work and then developed a response. We were successful in presenting a clear, logical response to the comments that were made on Google. It was important for others who might see the review to understand that our client was not at fault. We were successful in crafting a bullet proof message that didn’t embarrass the reviewer, yet also stated the facts. A few months went by and we’d moved onto other things. We monitor reviews for all of our clients and my social media person noticed that the review had been changed to five stars and we shared the news with the client. It was a very good meeting and now each of their over 20 Google reviews is once again five stars. In summary, it pays to do excellent work and provide great service while treating others with respect. It also pays to respond to unwarranted negative reviews in a way that states the facts yet doesn’t embarrass the reviewer. In the end, this turned out to be a win/win for both parties.